Nickname: Lan (pronounced lahn) or Lannah, Izzy (only by her late husband or parents, as she hates this nickname), or Neasa (NES-a). Alternatively, she may prefer you just call her by her surname. Scars, Distinguishing Marks, etc: Scar from top of left shoulder to bottom of shoulder blade from a dagger wound, circular-shaped scar around right ear (splinched; a flesh prosthetic was attached in its place by healers), and her left ring finger is missing (partially blasted off by a curse, other part removed voluntarily at her husband’s grave with a combination of dagger and magic). Other: Is sometimes seen placing her right hand to her right ear as though trying to hear a muffled voice over an earpiece. This is because not only does she have hearing in that ear far above the normal for a human being, but she also has a magical ability that allows her to hear the voices of either those under her protection or those she’s tracking. The only downside is those being tracked are incredibly muffled. She also communicates over long distances with fellow aurors using this ability in conjunction with a spell on the other’s part. This ability has caused some to think she is a paranoid schizophrenic or in possession of some other mental illness featuring auditory “hallucinations” and paranoia. - Born to Garret and Kathleen Moody on December 12, 2016. She is the second of three children and directly related to Alastor Moody. Alannah has two other sisters: Charisma (older by 2 years) and Sharyn (younger by 3 years). - Hexed Charisma at the age of four, under assumption that Charisma was going to take her toy dragon from her. In actuality, Charisma had been reaching for the toy broomstick directly next to the dragon. Alannah had sharing issues during this time in her young life. - Began to hear things uncannily well in her right ear at the age of six. At first it was taken in good stride, often being referred to as Alannah’s “Magic Ear”. When this auditory sensitivity started picking up things her siblings or parents couldn’t hear they became slightly concerned. As the content of her relayed hearing became more and more disturbing they immediately took her to get checked out. Alannah’s magical hearing was misunderstood by many; some of the healers believe she suffers from a mental disorder due to her ancestor’s penchant for paranoia. They claimed the things Alannah heard that others could not was merely an auditory hallucination and prescribed a potion. The little girl baffled healers when said potion had no effect whatsoever on her ability to hear so well. - Attended first year at Hogwarts at the age of almost-twelve. Showed no separation anxiety and was eager to begin her schooling where Alastor had learned. 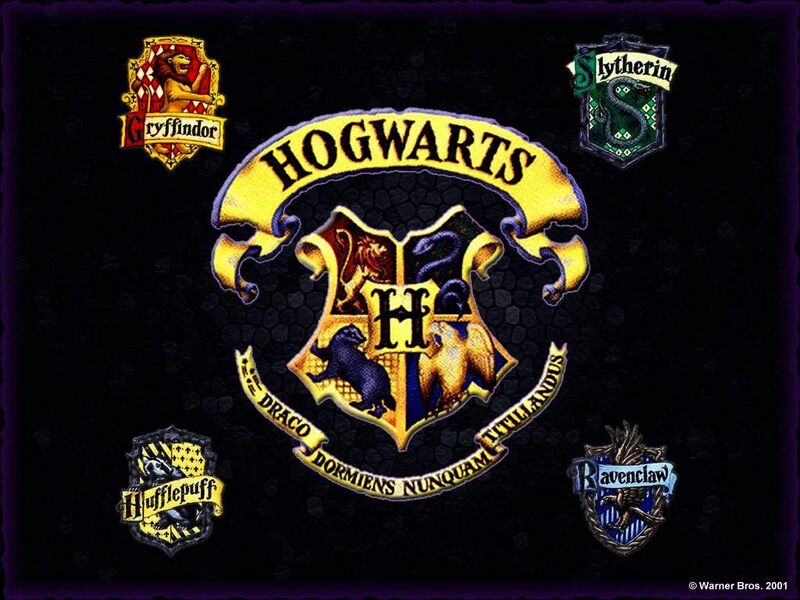 Was immediately sorted into Gryffindor and often got into various fights (Muggle and magical) with Slytherins. Had a wide circle of friends. - Fourth Year, age 15, Christmas Break: The Moody household was attacked by long-time enemies of Alastor that sought to rid the world of the entire line. Garret and Kathleen were killed protecting their children. Charisma led her two younger sisters to the safety of the Seymour family who lived nearby and were good friends of their parents. Warren and Belinda immediately took them in upon hearing what had happened, and adopted them soon after. - Age 17: Takes up a part-time job with the Wizarding Law Enforcement as a Hit-Witch during her last year at Hogwarts. Profiled suspects in her free time at Hogwarts, and was allowed leave on weekends to tackle the physical aspect of the job. Directly supervised by her stepfather, Warren Seymour. Stayed with her stepfather’s squad, Phoenix 7, for one year. - 2035: In-between transferring from Phoenix 7 to Squadron 9 in the Hitwizard/-witch program, Alannah was ambushed and wounded in Knockturn Alley. She refused to have the wound looked at, and it in turn became infected. Her stepfather forced her to go and get it looked at then, which resulted in a week-long stay at the hospital. Healers attempted to lessen the severity of the scarring but it proved ineffective. The scar begins on Alannah’s top left shoulder and stops where the shoulder blade ends. - Squadron 9: Alannah stayed with this team for one year due to issues with the “Substitute Captain”. When her official captain, Artemis Powell, became too pregnant to work Alannah had been named Acting Squad Leader until a new Captain could be assigned. When Zoe MacDougal came into the fray as acting captain and Alannah restored to her rank of Lieutenant, all hell broke loose. The pair often fought one another for authority. Powell’s comments in Moody’s file support the young woman in her endeavors despite a few criticisms. Zoe MacDougal’s entry, however, makes Alannah out to be the “bad guy” of the team. Alannah transferred out to the Auror Office to undergo training. - Squad 3, 2036 – 2040, under Captain Johnson Talon: Alannah began her training in the Academy as an Ensign, and remained with this squad for four years. She achieved up to the rank of Lieutenant-Commander, but was demoted a rank due to several issues. - 2037: Alannah was admitted to St. Mungo’s after a mission when she began bleeding profusely from her right ear and other injuries. Healers realized once the wound was cleaned and had stopped bleeding that there was no outer ear left to speak of. Alannah revealed she had attempted to apparate in attempt to rescue a teammate, and had splinched herself. The rest had been severed when she had tried to provide a distraction so the same teammate could get away. Was given a fleshy prosthesis that permanently affixed itself by magic for cosmetic purposes. When she returned to work Captain Talon reprimanded her for endangering herself and her teammates, and fitted her with a one-month unpaid suspension. - 2037: Alannah was informally warned of what would happen if she married fellow squad member Leonard Clancy. When the pair married anyway, Leonard was involuntarily transferred to a different team. He was too high up in the ranks to continuing to work in the same squad as his wife. They married on April 15th. Alannah was a loving wife, even if she didn’t always trust him. - 2040: Reprimanded for hiding her pregnancy of 6 months as it may have caused undue stress and possible harm to the baby. Captain Johnson not only demoted Alannah to the rank of Lieutenant and suspended her pay for the remaining duration of her pregnancy, but also removed her from the squad. Alannah was given a notice that she may return to work on March 3, 2041, and be assigned to a different team. - November 4, 2040: Leonard “Leo” Clancy was killed by an unknown assailant. Alannah became overwhelmed by grief and guilt, feeling as though she may have been able to prevent it had she not been pregnant or gotten suspended for hiding it. - November 19, 2040: Alannah went into labor. Her son, Connall Alastor Moody, was stillborn. Alannah herself suffered slightly abnormal but minor hemorrhaging, and the baby’s death affected her greatly. Too proud to admit such a thing she refused all offers of counseling. Results were inconclusive as to how or why the baby had not survived, but Alannah still carries the idea that it was her fault her husband – and now her baby – had died. - January 1, 2041: Alannah arrived at St. Mungo’s with several dueling wounds. The most serious of them was the completely-missing left ring finger. It had been improperly cauterized and patched up, causing the work to be re-done. She informed the healers that the amputation of her finger was both from combat and intentional. She was strongly advised to seek counseling upon hearing the latter, the healers assuming it was self-harm. Again Alannah refused, and explained that the removal had been for self-preservation as the curse would have spread. Healers treated her accordingly thereafter. - Late February, 2041: Returned to work to apply for inclusion to a new team. Was asked about her missing finger and told them the whole story. She had been at her husband and son’s graves when the attack occurred; they fought and the assailant blasted off a portion of her finger. Once the crisis had abated she realized the curse might spread, and removed the rest of her finger – ring included – and left it behind at her husband’s grave. Afterward, she had gone and sought treatment. Alannah was asked to undergo a psychological examination, under suggestion of her former captain Johnson Talon. She begrudgingly accepted. - March 3, 2041: Officially joins The Conifers, a team of aurors lead by Tavish McConn. Reinstated to the rank of Lieutenant-Commander. "Drink up me hearties - yo ho!"